Grab’s high-profile acquisition of Uber’s Southeast Asian (SEA) operations not only postures them as the leading ride-sharing app in Southeast Asia, but is also poised to shakeup the regional food delivery industry. 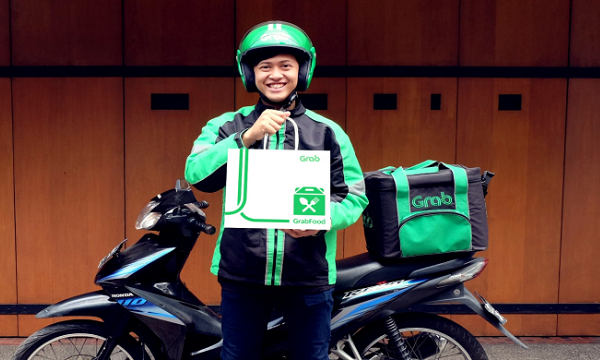 Its food-delivery service, GrabFood, currently operates in Indonesia and Thailand. After its expected merge with Uber EATS, it’s expected to build on the latter’s initial expansion and make its presence felt in other parts of the region. “We will rapidly and efficiently expand GrabFood into all major SEA countries in the next quarter. We’re going to create more value for our growing ecosystem of consumers, drivers, agents – and now merchants and delivery partners,” Grab co-founder Tan Hooi Ling said in an earlier statement. As GrabFood rolls out its plans for massive expansion, some of its competitors tell QSR Media that they aren’t waiting on the sidelines. Foodpanda, one of Grabfood’s biggest regional competitors, opines that Grab’s purchase of Uber’s assets in SEA was due to the latter being supposedly unable to adapt to the regional market. “Uber and UberEats failed in SEA…because the regional market adoption was non-existing and Uber did not understand the differences and challenges of developing countries in contrast to developed markets. Grab on the other hand side did well on this front (for transportation and payments) - executed well and fast,” foodpanda Thailand co-founder and managing director Alexander Felde said. Delivery and restaurant partners of Uber Eats are expected to migrate to the GrabFood program once the former app ends by May. From the outside looking in, Felde claims Grab and Uber’s current post-merger integration situation in Thailand looks “a bit messy” due to feelings of “uncertainty” from stakeholders. Anticipating GrabFood’s potential increase of reach in Thailand, foodpanda plans to stick to its plans in 2018, including putting emphasis on food production kitchens and the recent launch of streetpanda – its delivery service dedicated to street food. “We are watching competition but we are not mimicking competition. We are very well positioned at the Thai market and stick to our existing growth strategy. We will continue focusing on improving our service levels after many operational changes within the last few weeks. We also want to expand our restaurant offering from 2500 restaurants to 4000 in 2018,” Felde added. Currently, foodpanda Thailand has around 600,000 unique monthly visitors on their mobile apps, and plans to expand its operations to Phuket in May. Their counterparts in Singapore, meanwhile, attribute their staying power in the island-nation by reiterating their nationwide presence, variety in restaurant offerings, and superior customer service. To further enhance its services, foodpanda Singapore wants to capitalise on their strong infrastructure and advanced dispatch algorithm by exploring technological innovations. “Currently it is looking at drone technology to see if it can assist with some points of the delivery process. foodpanda is also exploring chat bot technology to see if it can help aid customer experience,” Andreani added. “Quite the opposite. This is a huge opportunity for Deliveroo as we continue to go from strength to strength, even as our rivals sell up and move out. 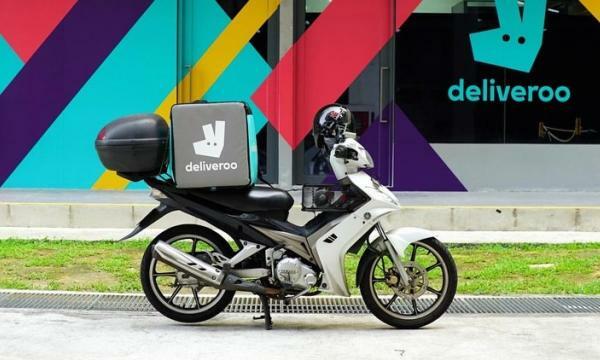 The food delivery industry in Singapore has always been an ultra-competitive market, and the brands that are thriving are those with a single-minded focus on food,” Deliveroo Singapore general manager Siddharth Shanker said. Deliveroo claims to have generated SGD 85 million (around USD 64 million) for the restaurant industry in in the country, resulting in work for nearly 4,000 people. In the next few years, it plans to continue its focus on market expansion and investing in technology. “Deliveroo has seen the benefits of our investment into technology, through the implementation of our world-class real-time dispatch algorithm, ‘Frank’. The powerful predictive technology is able to evaluate the most efficient way of distributing orders based on the location of restaurants, riders and customers. Since coming online in early 2017, the algorithm has already helped improve delivery time for meals by 15% and is making Singapore one of the most efficient Deliveroo markets globally,” Shanker added. honestbee Singapore, meanwhile, intends to maintain its variety of merchants and partners in order to stand out in the food delivery market and is bent on continuing its regional expansion since launching in 2015. “We are the first to provide on-demand hawker food delivery service in Singapore, and our customers can order from multiple stalls within a hawker centre, and check-out with just one basket. Today, Singaporeans can have their favourite local delights delivered right to their doorstep, without ever having to leave the comfort of their homes or office,” honestbee Singapore managing director Chris Urban said in statement sent to QSR Media. Other SEA-based competitors will also proceed with their expansion plans this year. Malaysian local favorite dahmakan, who recently acquired Bangkok-based competitor Polpa, intends to continue with their development in Jakarta and Hongkong in the second half of the year. Indonesia’s Go-Food claims to have over 85,000 restaurant-partners at their platform. It is backed by Go-Jek, who is set to make its Southeast Asian expansion in the next months, according to an exclusive report from Reuters. Dahmakan and Go-Jek were not able to respond for further confirmation as of press time. Line Man, Line’s on-demand delivery service in Bangkok, Thailand, refused to comment on the recent acquisition.